You just got an online business idea that’ll change everything. A way to convert your passion or skill set into money, so you can finally quit your job, become your own boss and live the laptop lifestyle. You don’t want to waste any time or doubt might set in, so you move as quickly as you can. You pour money into website design and start creating content for your online business. You even have products lined up for the stream of orders you’ll get once you launch. “People have to buy.” You say to yourself, your idea is just too good. Then a week later you setup Ad campaigns online and launch. A week, a month, still nothing. Realization starts to creep in. No one wants what you’re selling. Anyone that’s ever tried to sell something online has probably had this experience before. I know I have. One of many reasons why businesses fail is because they simply have no market. This is particularly prevalent online, where people think they can make any old hobby profitable with just a website and Ads. Unfortunately, online businesses operate exactly like brick and mortar businesses, the only difference being they have a lower setup and operation cost. Putting a bad idea on the internet doesn’t make it any better. Discovering that no one wants what you’re offering is painful, especially after you’ve dedicated so much time and money into setting it up. To save you the trouble and heartache, in this post I’ll show you how to quickly and cheaply test if your online business has any chance of making money. Testing your idea ensures that when you do launch, your business has a high chance of success, and if it isn’t profitable you’ll know before investing a fortune in it. Please don’t rely on hope marketing, where you have an idea and just launch with the “HOPE” that people will buy. It doesn’t work. 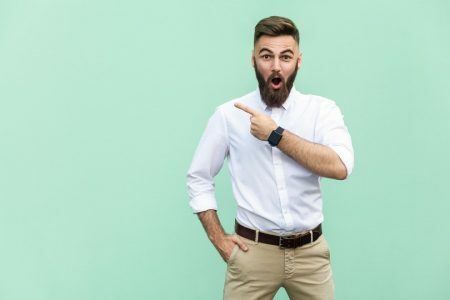 The fastest and cheapest way to know if your idea has any chance of making money involves simply checking if anyone else is profiting from what you want to do. When you come up with a business idea, whether it’s a blog or an e-commerce store, the presence of competition shouldn’t discourage you. Rather it means that there’s a market for what you plan to offer and you simply have to position yourself in front of that market with a better offer and you’ll capture a bit of it. This is usually what people mean when they say “follow the money”. Yes, the other businesses are more established and that’s an advantage, but it doesn’t mean your business can’t become better than theirs. Apple, Google, Facebook, and WordPress were not the first companies to do what they currently do. Yet they overtook older more established competitors. This doesn’t just apply to big companies alone. The most popular and profitable blogs on the internet today weren’t the first. So get it out of your head that you need to be the first on the scene or your idea is ruined. Competition is good because all you have to do is create a better or different offer than your competitors to win. The easiest way to check if your online business has any competition is to make a simple Google search. For example, if your online business idea involves becoming a business coach. Just type into the search bar, sentences people seeking business advice would use. 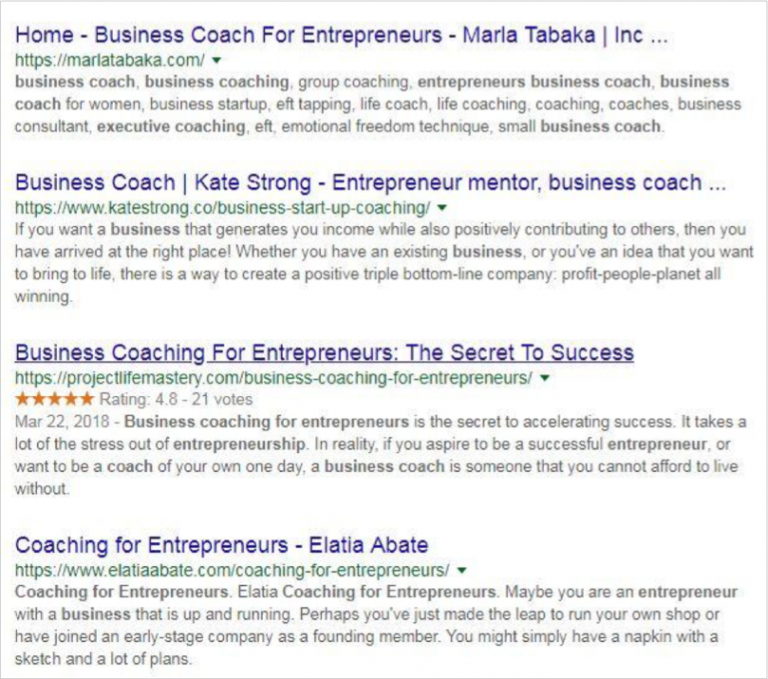 For example, the search term “business coach” will bring up the most established websites in that niche. When you’ve found people doing what you want to do, your next step is to learn as much as you can about them. Research is helpful in a lot of ways. It’s where you really get into how your competitors operate. It tells you whether your competitors are making money, how they’re making money and how you can improve your own idea based on what’s working for your competitors. Are your competitors making money? Just because you’ve found competitors doesn’t mean that your idea is solid just yet. First, you need to determine that they’re making money from the business. Some businesses are very open about how much they make and where that money comes from. They release monthly income reports that not only detail the specific amount they make but also where the money comes from. If your competitors offer an income report all you have to do is analyze it. Matthew Woodward publishes monthly income reports on his blog. And Buffer takes it to a whole other level. But what if your competitors don’t publish income statements like the vast majority of businesses. How do you gauge their success then? While a little trickier, there are some ways to estimate their profitability. If your competitors offer a product or service, odds are customers have left reviews. And since only a very small percentage of buyers about 2% to 10% leave reviews. The more reviews a product has the more successful the product is and by extension the more profitable the business. 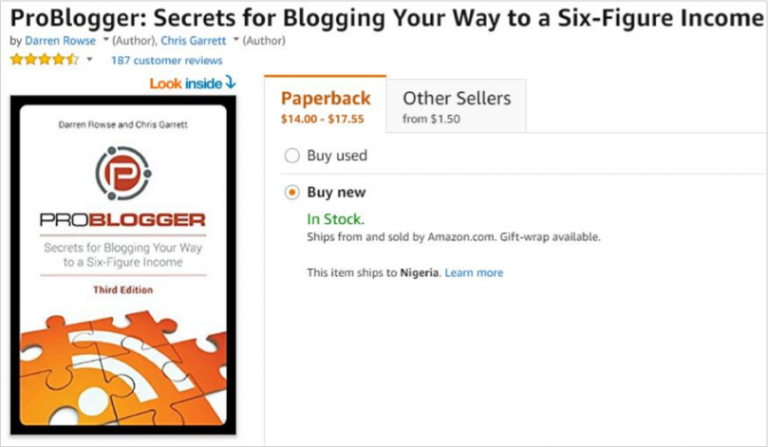 Problogger’s ebook has over 187 customer reviews. 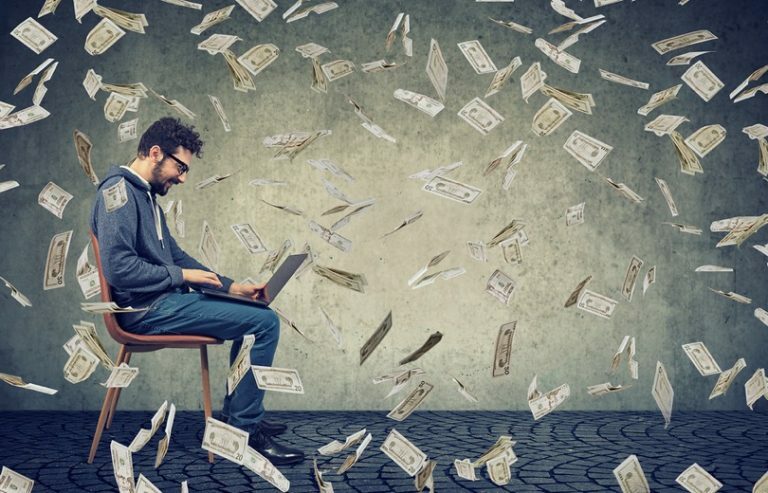 Since traffic is correlated with internet profitability, especially if that website relies on advertising or affiliate revenue, estimating how much traffic a website is getting is a great way to know if they’re making money. A lot of websites offer web traffic estimates but Similar Web is by far the best source. Here’s a SimilarWeb traffic estimate for Healthline. The popularity and revenue streams of your niche will determine how much traffic is needed for a website to hit profitability. Once you’re satisfied that your competitors are indeed making money. It’s time to plan how you’ll tap into that market. Your competitors will give you a lot to work with. Once you know that they’re profitable and even know how they make their money. The next stage involves creating value for their market. Signing up for their newsletter. Using the products and services they offer. Reading their comment section and customer reviews. Your job here is to create something of similar or more value to what your competitors are offering, or maybe even branch into a different angle, for example, a business coach for women rather than just a business coach. This way you provide more value with a targeted message to your customer base. You have to learn everything you can about your competitors. Who their customers are, what pain points they have, and what they like and hate about a service or product. Then brainstorm ways you can serve the customers better. You can see how competition, contrary to being bad for a new business is really good news. Because it allows you to know what’s working already, and improve on that. Learn, improve, launch and grab market share. Easy right? But what if you don’t have any competition? What if there’s no business doing what you want to do? In the vast majority of cases, this means there’s simply no profit in your market. If there was money to be made, someone would be making it. There are exceptions, however. In very rare cases you might have stumbled onto an idea that’s truly unique and possibly profitable. Though ideas like this are riskier they do have a chance of success. You’ll have to be extra careful with new ideas, and before you invest fully, you’ll need to test them in the real world. 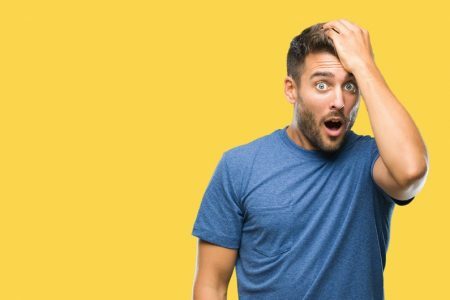 In the end, you’ll either have a unique business you can make money from, or you dodged a bullet by testing before you poured your savings into it. Which brings us to the other method of validating an idea. One of the most destructive beliefs about online businesses, blogs, e-commerce etc. Is that you can target any group because the internet is global. This simply isn’t true. Self-identifies: They know what they are and identify themselves as that. E.g. Rock climbers. Can be grouped together: They share enough of the same problems and desires that they can be grouped together. Includes a wide continuum of beginners: Beginners are the most active learners. It’s hard to get experts to agree with an opinion or even get enough of them together to turn a profit. Shares the same perspective: The market you target must also share the same perspective. For example, you shouldn’t create a relationship advice blog for both men and woman. Their perspectives are just too different for you to target both. Wants to learn: Since blogs serve mainly to educate, your market must also have the desire to learn. 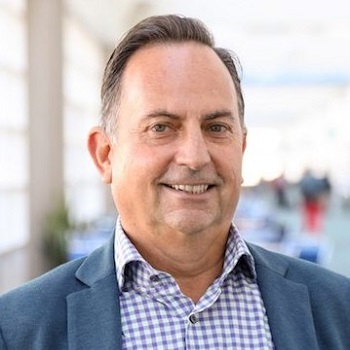 Has an ongoing interest: According to Jon Morrow, your market must also have an ongoing interest, rather than a brief one. For example, most photographers want to become better, whereas soon to be brides are only interested in the topic once. Consists of millions of people: Finally, your market must be large enough for it to be worth the resources you’ll spend. Now, even though Jon Morrow’s advice is focused on blogs, it’s still very useful for any internet based business. You can’t simply target any group you want online, and even if you could, not every group is profitable. A blog for rock climbers might work. But one for vegetarians that are rock climbers? Forget it. Using Jon Morrow’s characteristics of a good market can help you dispose of some of the bad ideas in your head. But even if your market ticks all the boxes on his list, you’ll still need to test if your idea has any hope of gaining traction. You know the characteristics of a good market. But how do you know if your idea has market potential? To do this, you’ll need to look for trends, talk with ideal customers and then use what you’ve learned to test the idea with a minimum viable product to see how it plays out in the real world. Google has a nifty tool for determining rising popularity, it’s called Google Trends. It displays the frequency and volume of a particular search term. Making it a perfect tool for determining the viability of an idea. For example, if your idea involves selling security drones. You can use Google trends to check its popularity. Public interest in security drones is clearly unsteady. Google Trends can also tell you which location has the most interest in a topic. Think about who you’re creating your product or service for. How old are they? Where do they spend their time? What are their problems and desires? Then find and talk to those people. Take part in conversations with your ideal customers. Search for topics or groups related to your idea on social media. You can join groups where your ideal customers are on Facebook or forums like Reddit. Once you’ve found them take part in conversations. Ask questions, conduct polls, message users privately and try to know more about them and their needs. If you can meet with them offline that’s a plus. What you’re trying to establish at this stage is that there truly is a demand for your business. That real people with real problems and desires need what you have to offer. Listen to them. Do they like your idea? That’s a good sign. Do they seem reluctant? That’s also something to note. Learn as much as you can from them and improve your offer until you consistently get positive responses from people. 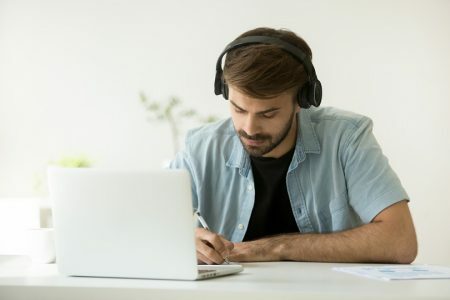 Note that talking to your ideal customers can also be useful in the Easy Way since you can use customer research to get an advantage over more established businesses. But even with people’s approval you still aren’t there yet. If history has taught us anything, it’s that what people say they’ll do and what people actually do are not always in sync. Maybe the people you talked to didn’t want to disappoint you. Maybe you asked the wrong questions. The fact is, the only way to test if an idea is profitable, is not to talk about it but to actually get it out there in front of real customers. That brings us to our final stage of testing, your minimum viable product (MVP). An MVP, also known as a minimum viable product, was made popular by Eric Ries. It’s the least amount of features you need in a product for it to deliver enough value so you can learn. The MVP exists to provide answers to assumptions, such as if people like your product, what features they like or don’t like etc. When it comes to online businesses MVPs are easy to set up. If your idea revolves around a blog to show your expertise and build an audience, you can create a signup form and link it to your email list for free with MailChimp. 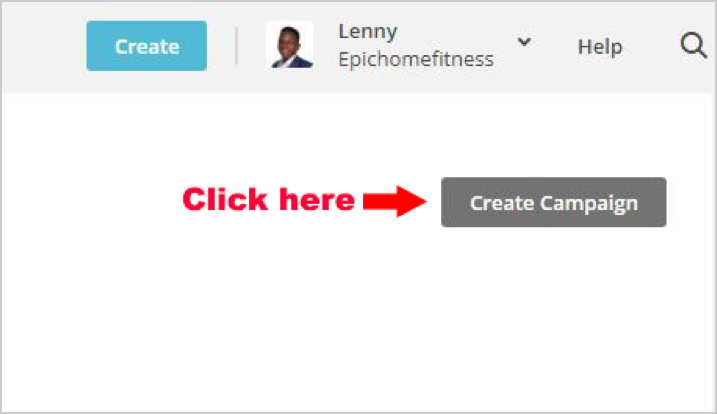 Simply click on the create campaign button. Then choose to create a landing page. And finally, choose your list and click Begin. 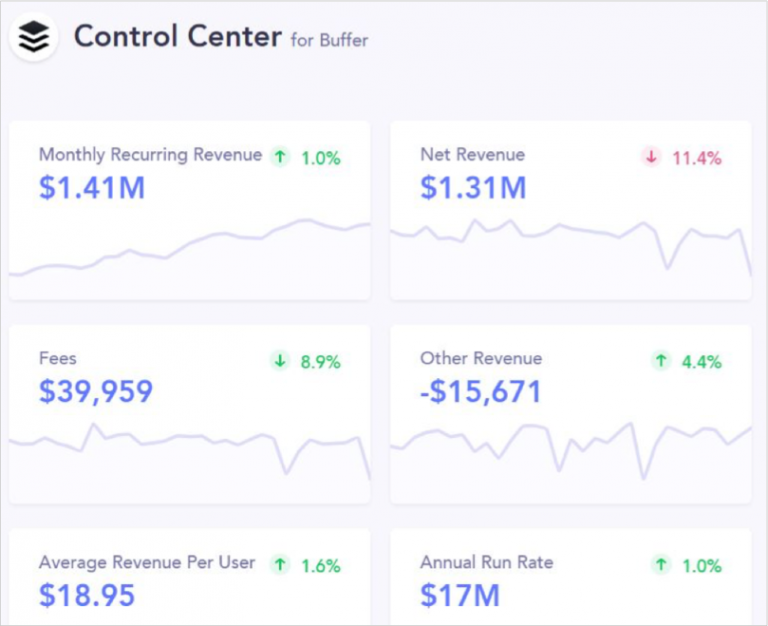 With your list and signup page ready you can start providing quality information that your audience cares about on websites like Medium, Quora or wherever your audience base is present. Then at the end of each post or answer, provide your readers with a link to your sign up page to get a content upgrade. Medium’s most read author Benjamin Hardy does this on all his medium articles. By creating value consistently and building relationships on these networks, you can gauge whether people are interested in what you have to offer. If they’re not interested you’ve saved yourself a lot of money and time, but if they are, when you do launch you’ll have a large audience base, to begin with. If you want to test if you can sell a product before sourcing or producing it. 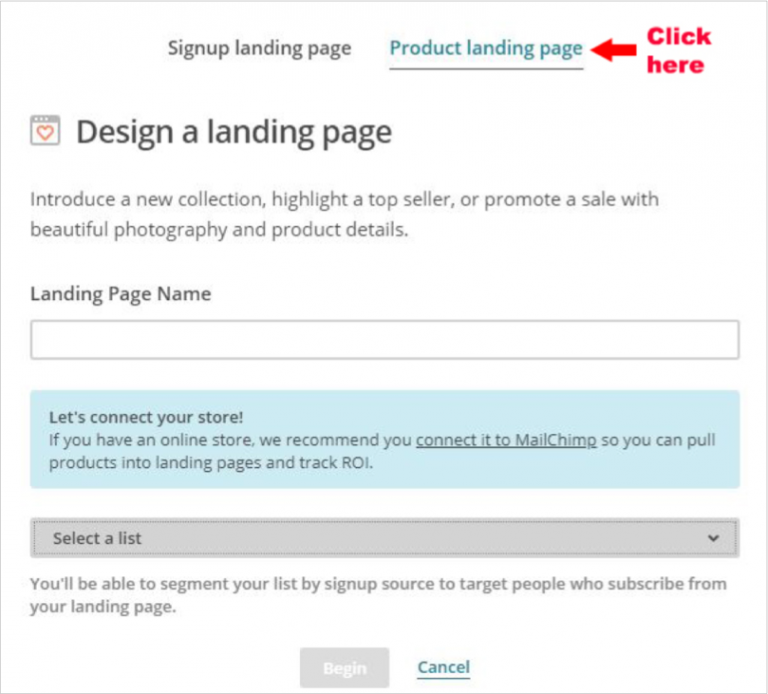 You can create a free landing page with MailChimp. 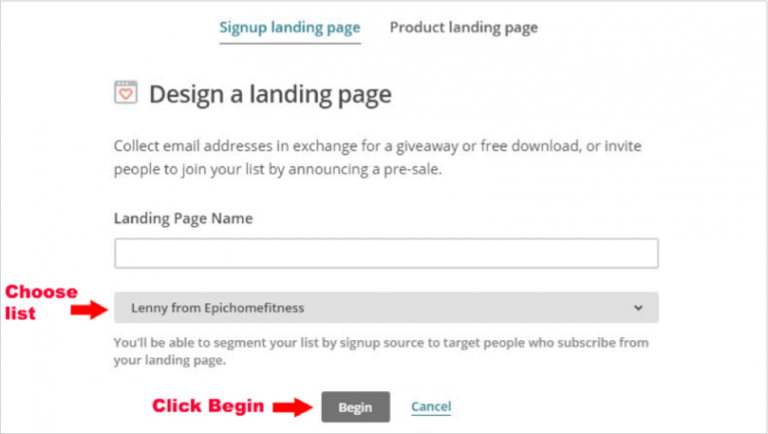 Simply follow all the steps outlined above, only switch to product landing page rather than a signup page. Add pictures of your product, with powerful copy and descriptions, then add a buy button. 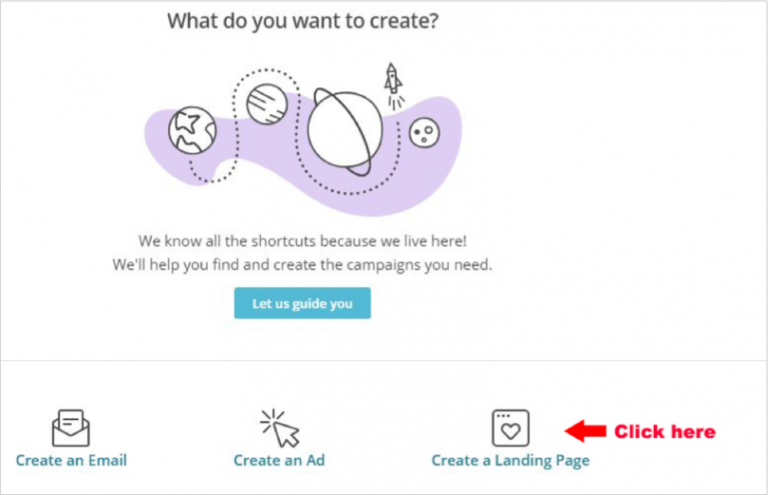 MailChimp shows how awesome your landing pages can be. Make sure to state the price up front so you can know for sure that people that click buy really want to purchase and don’t simply want to check the price. Then run Ads on Google. 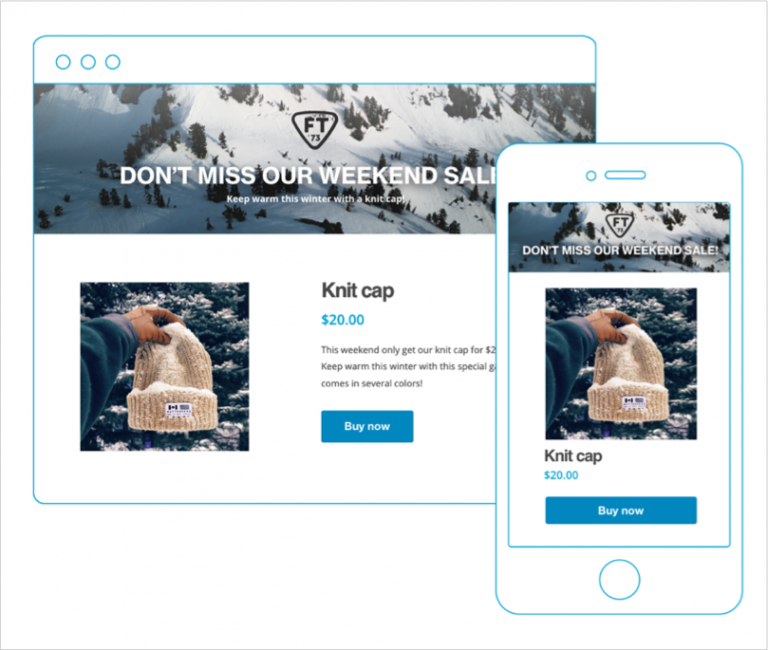 When visitors click on the buy button, it tells them that the product is not available at the moment and that they should input their email address and you’ll send them a notification when it’s in stock. Then monitor your conversion rate. That is how many people that saw your landing page clicked the buy button. 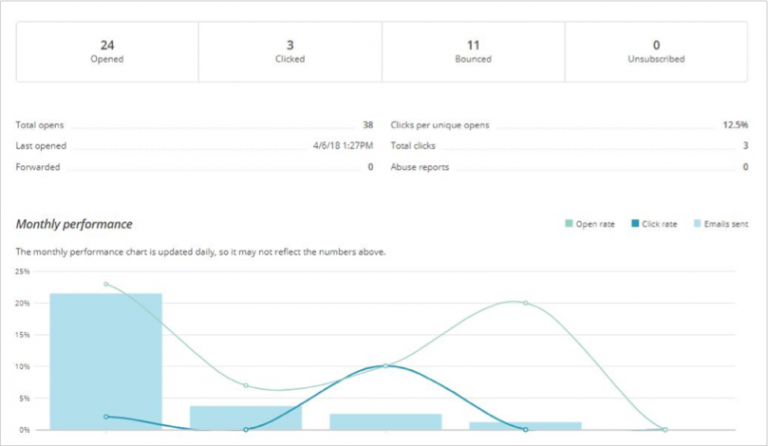 You can do this with the MailChimp report option. To view your conversion rate, click on reports in the nav bar. And you’ll be presented with your landing page and even email list data. 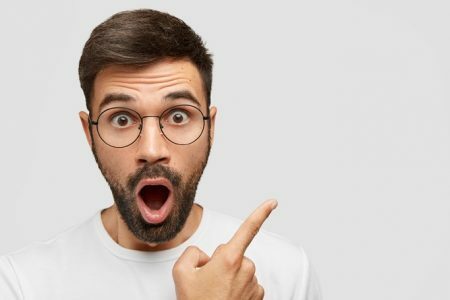 If enough people click your buy button (which is hypothetically a purchase), and it’s enough to cover the cost of running Ads with a significant profit margin left for you. If on the other hand, your conversion rate can’t cover the cost of Ad’s or leaves little to no profit for you. It’s time to test something else. Easy way: which involves researching and improving the competitions offer. Hard way: Looking for trends, talking to customers and testing your ideas with an MVP. With all the tools and information available today, starting a business has never been easier, there’s nothing holding you back, but businesses run on planning and work, not hope. Do your research. Guest author: Lenny Johnson is a freelance writer and content strategist for hire at B2B Content Lab. He engineers high impact content that builds authority, increases customer loyalty and drive sales for B2B SaaS and marketing brands.